1. All color tattoo,eyeline and lipline removal. 2. Epidermis and dermis pigment. 3. Nevus of ota,blue nevus,black nevus,coffee spot. 4. Senile plaques,freckle,sunburn spot and chloasma. 5. Skin whitening and wrinkle removal etc. Picosecond laser subtly crushes skin pigment through fast and powerful energy,then expel from lymph to thoroughly remove tattoo,colored patches.According to selectivity light thermolysis theory,the shorter of laser function time,the harder of the laser energy of target tissue absorbed and accumulated diffuse around tisssue.The energy is limited to the needed repairing target to a certain extent,it protects the normal tissue around,then the repairing selectivity is stronger. Picosecond laser pulse width only the 1% of traditional laser.Under this short pulse width,it’s not enough time to translate light energy into heat energy,it hardly generate photothermal effect,its volume happen technique swelling after being absorbed by target,It generates light mechhanical effect,then explode and tear to fragmentation.The selectivity is stronger,it can generate stronger treatment effect to the pigment skin damage under shorter repairing times. 1.Picosend laser machine used unique honeycomb focused technology to from a skin effect vacuolization,which can protect skin from damage during treatment. 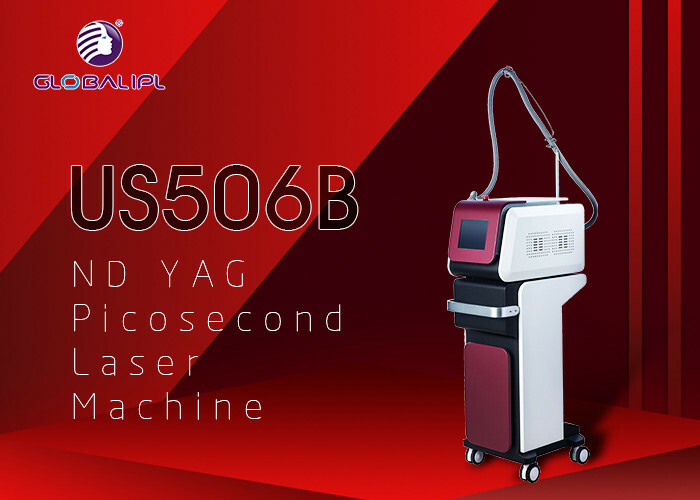 2.Picosend laser machine make tattoo &pigment removal treatment process from 5 to 10 times reduced to 2-4 times,greatly reduce the treatment and recovery time,with fast and obvious effective. 3.It can removal all kinds of pigment and tattoo effectively and safely,because picosecond laser use precise positioning of the target tissue therapy to reduce damage to the skin to achieve the freckle effect. 4.The picosecond laser use ultra-short pulse to hit the melanin with a great pressure,the melanin shatters into tiny dust-like particles.Because the particles are so small,they are more readily absorbed and eliminated by the body.It will significantly reduce postoperative swelling,melanin precipitate phenomenon.